Virginia Commonwealth University Solid Walnut Desk Box by M.LaHart & Co.
Every college sports fan enjoys an NCAA and College Shop gift. Our beautiful solid walnut desk box is made from hand-selected domestic walnut and crafted in the USA. 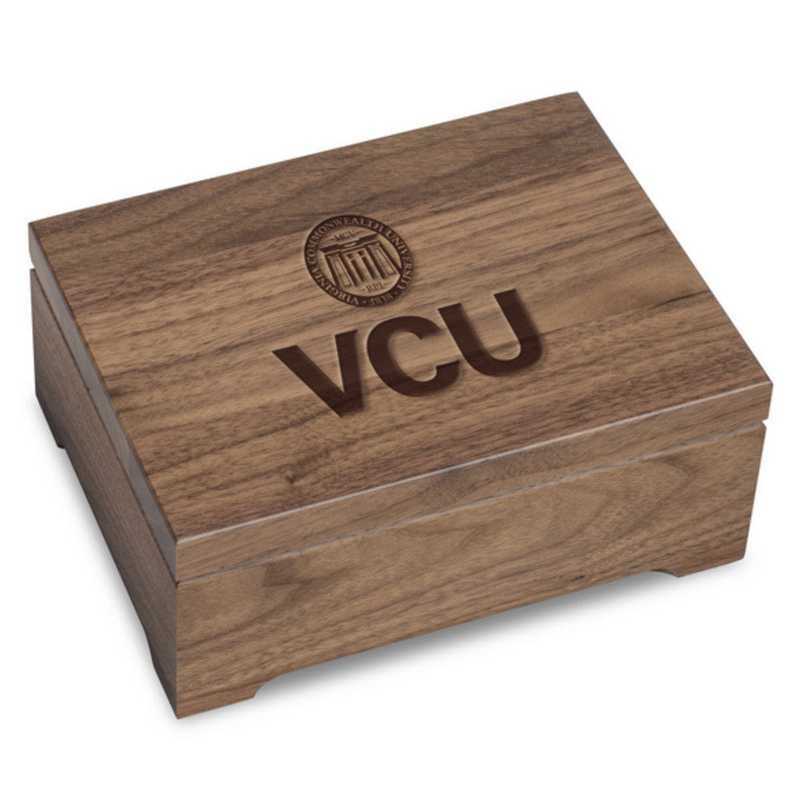 Each box is hand finished with care and proudly displays the VCU Logo on the lid. Measures 8" x 6" x 3 1/4" Handmade in the USA of solid walnut Features hinged lid and protective felt feet. Officially licensed by Virginia Commonwealth University. Manufactured direct from a trusted supplier. You're reviewing:Virginia Commonwealth University Solid Walnut Desk Box by M.LaHart & Co.